Product prices and availability are accurate as of 2019-04-19 04:00:32 UTC and are subject to change. Any price and availability information displayed on http://www.amazon.com/ at the time of purchase will apply to the purchase of this product. 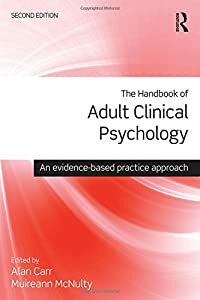 The second edition of the Handbook of Adult Clinical Psychology: An Evidence Based Practice Approach like its predecessor provides clinical psychologists in training with a comprehensive practice handbook to help build the skills necessary to complete a clinical placement in the field of adult mental health. While practical in orientation, the book is based solidly on empirical evidence.Building on the success of the previous edition this handbook has been extensively revised in a number of ways. Throughout the book, the text, references, and website addresses and have been updated to reflect important developments since the publication the first edition. Recent research findings on the epidemiology, aetiology, course, outcome, assessment and treatment of all psychological problems considered in this volume have been incorporated into the text. Account has been taken of changes in the diagnosis and classification of psychological problems reflected in the DSM-5. Chapters on ADHD in adults, emotion focused therapy, radically open dialectical behaviour therapy, and schema therapy have been added. Section 6 contains chapters on therapeutic approaches to psychological distress related to complex childhood trauma (dialectical behaviour therapy for borderline personality disorder, racially open dialectical behaviour for over-controlled presentations, and schema therapy). Each of the chapters on clinical problems explains how to assess and treat the condition in an evidence-based way with reference to case material. Interventions from cognitive-behavioural, psychodynamic, interpersonal/systemic and biomedical approaches are described, where there is evidence that they are effective for the problem in question. Skill building exercises and further reading for psychologists and patients are included at the end of each chapter. 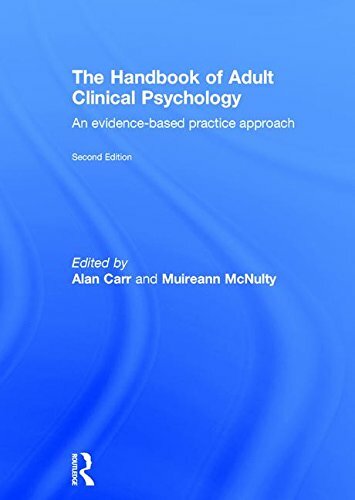 This book is one of a set of three volumes which cover the lion’s share of the curriculum for clinical psychologists in training in the UK and Ireland. 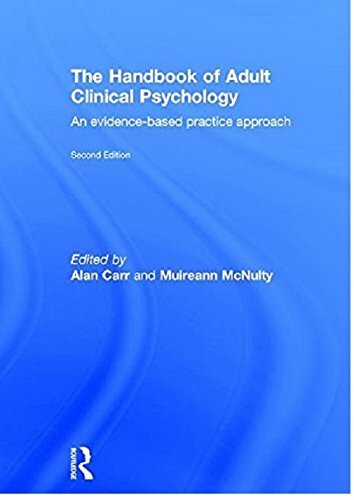 The other two volumes are the Handbook of Child and Adolescent Clinical Psychology, Third Edition (by Alan Carr) and the Handbook of Intellectual Disability and Clinical Psychology Practice, Second Edition edited by Alan Carr, Christine Linehan, Gary O’Reilly, Patricia Noonan Walsh, & John McEvoy).